Nor-Tech just announced the approved renewal of their University of Wisconsin System Contract #15-2308; NIGP Code 20453 for desktops, laptops, servers, storage and compute nodes. MINNEAPOLIS (PRWEB) August 30, 2018 Nor-Tech just announced the approved renewal of their University of Wisconsin System Contract #15-2308; NIGP Code 20453 for desktops, laptops, servers, storage and compute nodes. The new contract runs through Sept. 30, 2019 with two one-year extension options. As a Microsoft MVP Top System Builder Award winner, Intel Platinum Level Technology Provider, Authorized Intel integrator and HPC Specialist, Platinum-level AMD Solution Provider and Microsoft Partner, Nor-Tech builds PCs/desktops and workstations with quality components without adding trial ware, bloat ware, ad ware, or unnecessary platforms. This means each computer is ready to run as soon as it is unboxed. Nor-Tech’s warranty includes comprehensive, no wait time U.S.-based support at no additional cost. Nor-Tech’s technology is built to survive the day-to-day mishaps. When necessary, repairs are straightforward with little downtime. If damaged beyond repair, Voyageur desktops are easy for the company to clone. 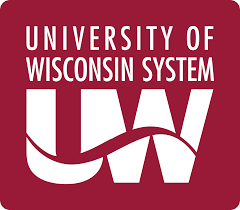 On July 1, 2018, the UW-Extension system joined with UW-Madison and UW System Administration to form the UW System. The system is made up of 13 four-year universities and 13 two-year branch campuses affiliated with seven of the four-year institutions. These institutions are a significant academic, cultural, and economic resource for Wisconsin and the world. Together they comprise one of the largest systems of public higher education in the U.S. The system serves more than 170,000 students and employs about 39,000 faculty and staff throughout the state. It has an annual budget of $6 billion, state funding of $1 billion, gifts, grants and contracts that total $1.5 billion and an economic impact of more than $15 billion. Nor-Tech is on CRN’s list of the top 40 Data Center Infrastructure Providers along with IBM, Oracle, Dell, and Supermicro; and is a high performance computer builder for 2015 and 2017 Nobel Physics Award-winning projects. Nor-Tech engineers average 20+ years of experience. This strong industry reputation and deep partner relationships also enable the company to be a leading supplier of cost-effective Lenovo desktops, laptops, tablets and Chromebooks to schools and enterprises. All of Nor-Tech’s high performance technology is developed by Nor-Tech in Minnesota and supported by Nor-Tech around the world. The company is headquartered in Burnsville, Minn. just outside of Minneapolis. Nor-Tech holds the following contracts: GSA, University of Wisconsin System, and NASA SEWP V.